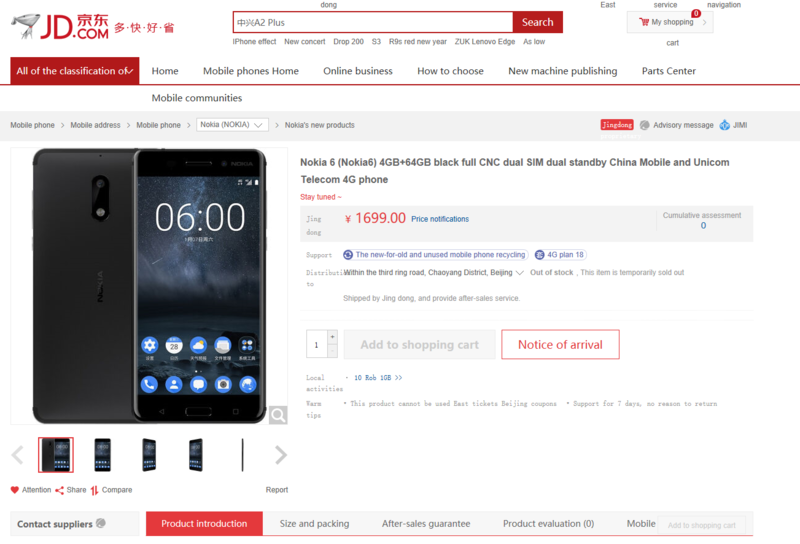 One day after the announcement, HMD’s first Android smartphone Nokia 6 is present (but not yet available to buy) on JD.com, China’s biggest webshop. The price is as announced yesterday 1,699 CNY, which makes about 233 euros or 245 dollars. The device supports two nano-SIM cards, and the packaging consists of the device, charger, USB charging/data cable, headset, SIM card slot pin, and a quick start guide. Nokia 6 is expected to be available for purchase in early 2017.